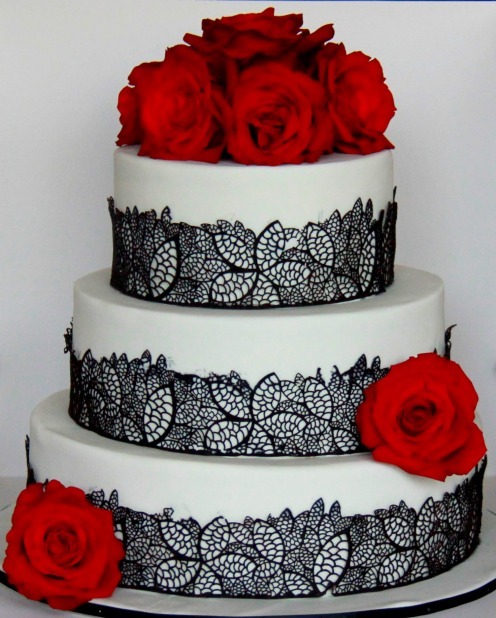 If your "I do" is on the horizon, chances are, choosing a wedding cake will be too. 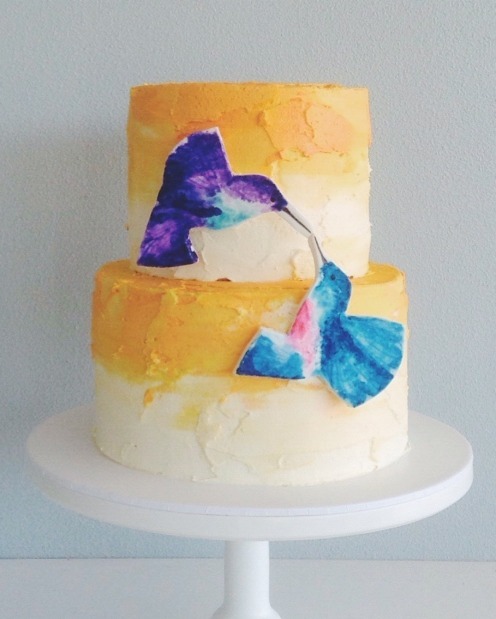 Current trends in cake design include edible lace, rose-gold accents, marbled effects and "naked" cakes (ones that aren't entirely covered in fondant), as well as roaming desserts and dessert stations. 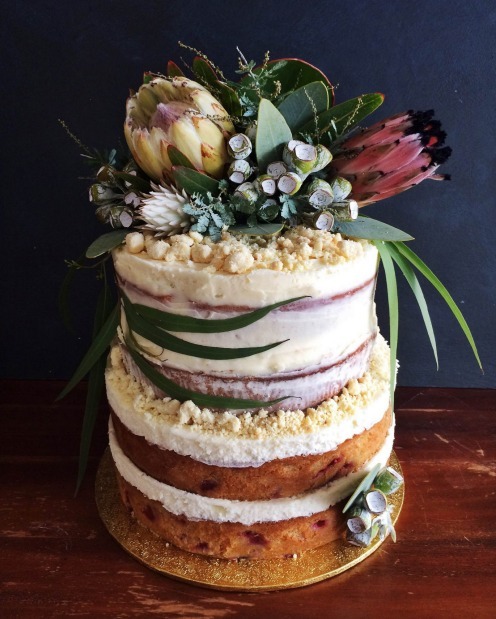 But if you're not sure what you want, we've rounded up some of Melbourne's finest cake-makers and dessert experts who can finesse the vaguest of ideas into fully realised works of unforgettable edible art. As if the name didn't give you a hint, food writer, recipe developer and baker Hayley McKee loves music, and bakes to spinning vinyl. 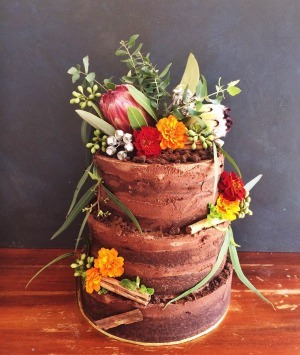 She also loves native Australian ingredients, edible plants and using root vegetables in cake. Some of her most popular flavours include Parsnip and Willow Blossom, Strawberry Sundowner and Heirloom Carrot, which all incorporate edible flowers or vegetables. These lush creations are also decorated with (often entirely edible) "exterior gardens" customised to match the wedding flowers and theme. 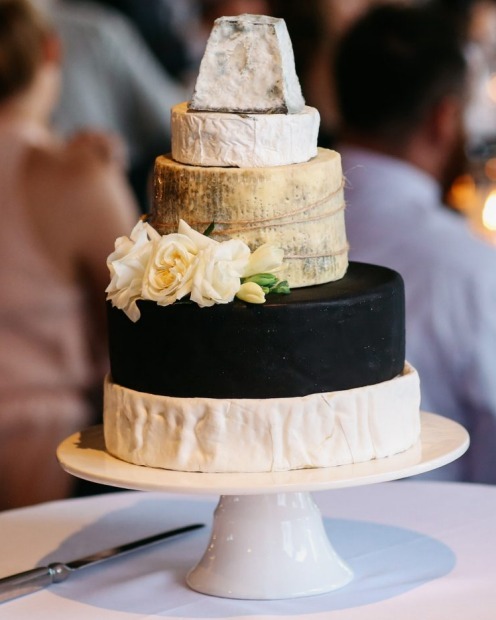 For some people, true love is cheese, and these are the wise people who celebrate their love with a visually striking, oozily alluring cheese tower from Burnt Butter Cakes. A heightened interest in good produce has driven a rise in the popularity of cheese in lieu of cake, plus having a cheese-wheel stack comes with built-in advantages such as not needing to be delivered on the day and, often, less wastage. Switch things up like recent clients did and cut the cake after the ceremony, allowing for cheese and champagne as a canape to mingle over (and maybe stash some leftovers for the perfect breakfast in bed). Watch out for a tasting evening to kick off wedding season on September 28. If you're looking for something elegant and luxurious, Fantasy Cakes' latest designs are an ideal choice, working with metallics, textures and graphic elements to create something glamorous yet understated. Although, staying true to their name, if you want something wildly imaginative, their cake artists can magic something up too. Cake flavours depend on the cake structure, but can span from citrus mud to red velvet and berry gateau. Step inside the cake studio of tattoo-collecting, rockabilly-loving couple Gavin Walker and Sophia Bradbury, with its 1950s starbursts, laminated table and tiki cakes, and you know you're going to get something unexpected. 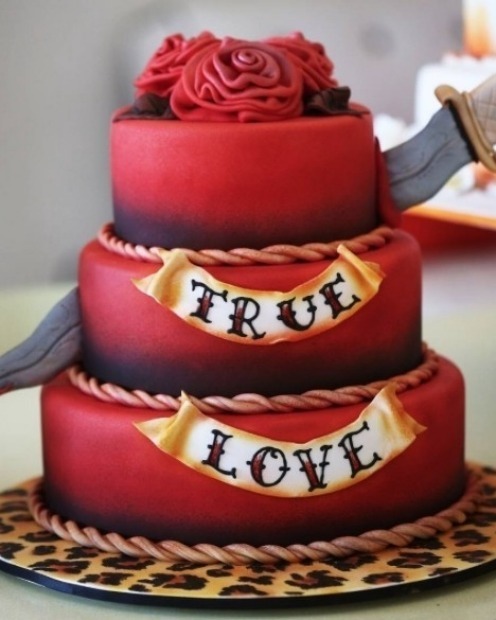 Specialising in one-off, sculpted cakes, and utilising Walker's decades of baking experience, the triple-layer True Love cake riffs on traditional American tattoo design on the outside, but on the inside it's all lush, moist, mud cake in flavours like chocolate raspberry, layered with chocolate ganache. They also offer dairy-free, gluten-free and vegan versions. When an antique wheel caught Melina Regnier's​ eye, she thought how great it would look hanging from rafters, adorned with a flower-trailing wedding cake. And so her "hanging cakes" were born. 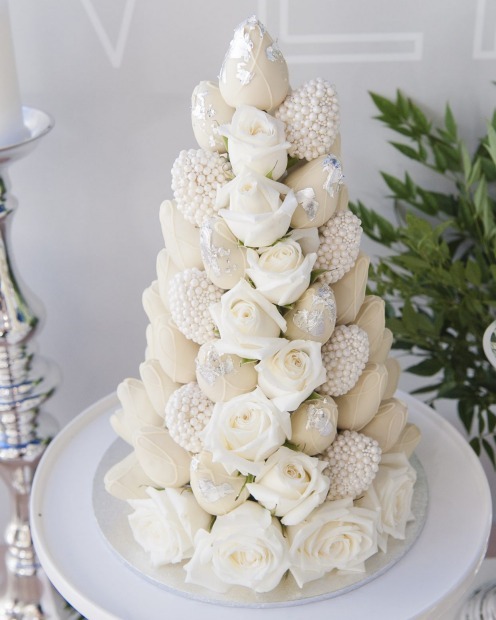 She has finessed a few base options to keep in the style of the venue and makes sure the cakes aren't too heavy. She even has a structure in case the venue doesn't have supporting beams. 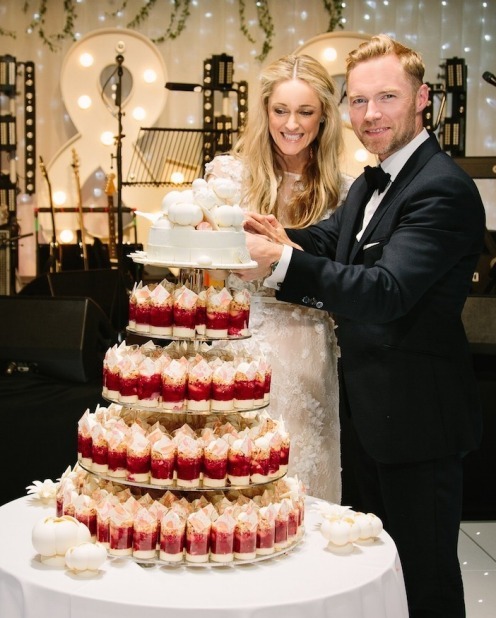 The look lends itself especially well to semi-naked sponge cakes with floral adornments in line with the style of the bridal arrangements. When it's time to serve, the base simply clips undone, leaving the cake ready to be whisked away for slicing. For a fruity twist on the famous croquembouche, Chocobon makes spectacular, chocolate-coated strawberry towers (among other chocolate treats) that create a stunning and delicious talking point and offer a lighter alternative to the traditional cake. Fat strawberries are swathed in Belgian couverture chocolate which can be flavoured and coloured to your liking and then constructed into a captivating tower adorned with roses or other flowers. The strawberries are on toothpicks so it makes for some fun interaction around the "cake" as guests pluck them from the tower to nibble on with champagne. 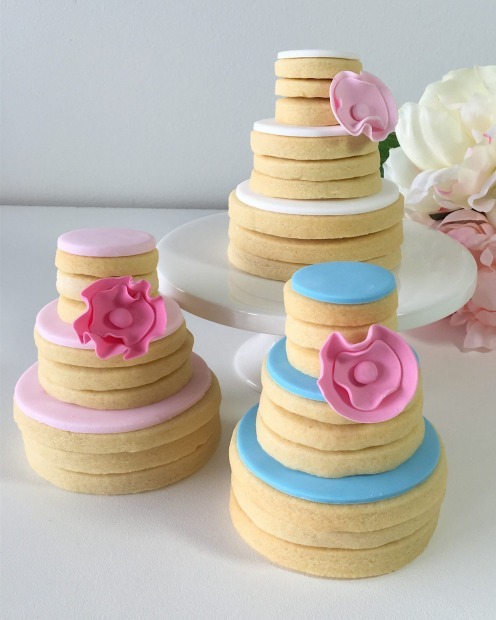 People often offer a cute bagged cookie as a wedding party favour, but third-generation baker and cake decorator Danielle Zeman​ from Sweetcheeks Cookies and Cakes (cookie artists to Tiffany & Co Australia) has created the ultimate mash-up. Her adorable tiered wedding cake cookie stacks in flavours like vanilla, chocolate, lemon, coconut and gingerbread mean every guest gets their own mini wedding cake to enjoy with coffee (after Instagramming it, naturally). If you like the format but want to stick to cake, Sweetcheeks also offers miniature layered chocolate cakes. 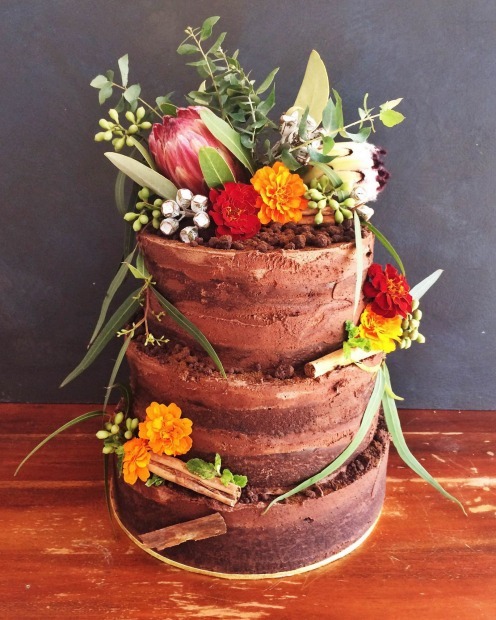 If you want a jubilant, extravagant, non-traditional, can't-stop-talking-about-it dessert cake for your wedding, better get to the Burch and Purchese Sweet Studio, base camp for Darren Purchese​, the dessert master himself. Popular wedding flavours include coconut, passionfruit, ginger and mint, white chocolate with raspberry, pink guava and lemon, or, the one that turns your eyes to lovehearts, the Explosive Raspberry Milk Chocolate, with raspberry cream, raspberry marshmallow, fresh raspberry compote, chocolate-chip cookie crumb, raspberry and milk-chocolate mousse, and chocolate-coated popping candy, served in individual acrylic tubes. Wow. If you've ever wandered into one of the epic cake lounges of Oakleigh, you know what a sugar-laden bounty of wonder they are. 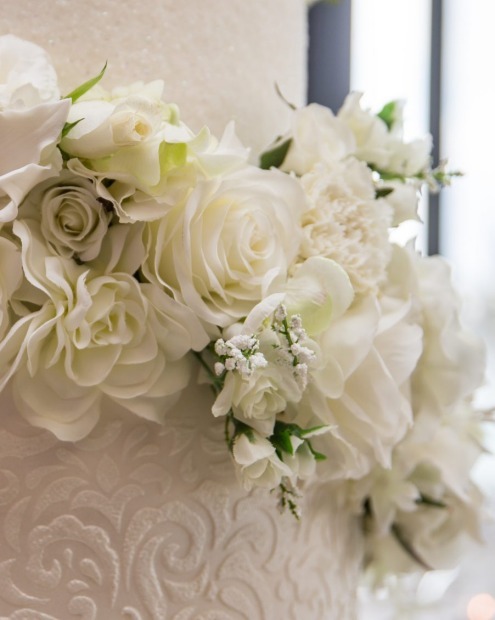 So if you want to go all out on your wedding cake and make it an absolutely dazzling centrepiece, order Nikos' aptly named Show Stopper, multi-tiered and twined in roses. Currently, the most popular flavours at this award-winning bakery are Vanilla Honeycomb Crunch and Chocolate Nutella Hazelnut. Vegan baking has come a long way. How far? Just check out Vegan Cakes by Monika for proof. 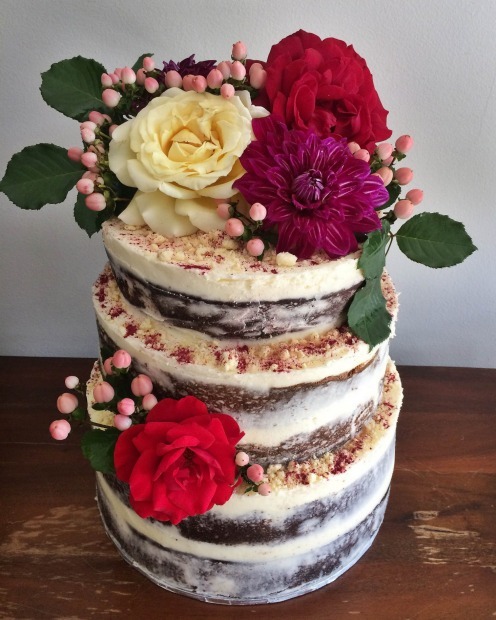 From her home bakery Monika Mehta​ creates decadent double layer wedding cakes in flavours like lamington, mocha, black forest and Dutch chocolate with raspberry filling, which is the most popular wedding cake choice. 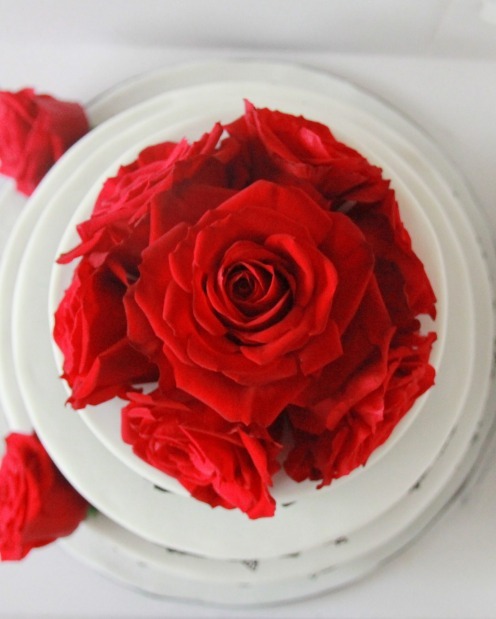 Everything used is vegan, from the colours to the fondant, so no dairy, eggs, gelatin, shellac, carmine or cochineal comes near these elegant, plant-based cakes adorned with bright red roses or fine black lace.